Embrace mid-century styling in your interior with the Oslo bedside table. Subtle starburst shimmers across the veneered gloss with textured detailing. The shimmering tones of silver rose veneer create a luxurious finish with contrasting cream soft close drawers. The stylish bedside table embellished with on-trend metallic brass detailing. Extend the mid-century scheme throughout your bedroom by styling with dramatic blacks and browns and continuing the metallic detailing. 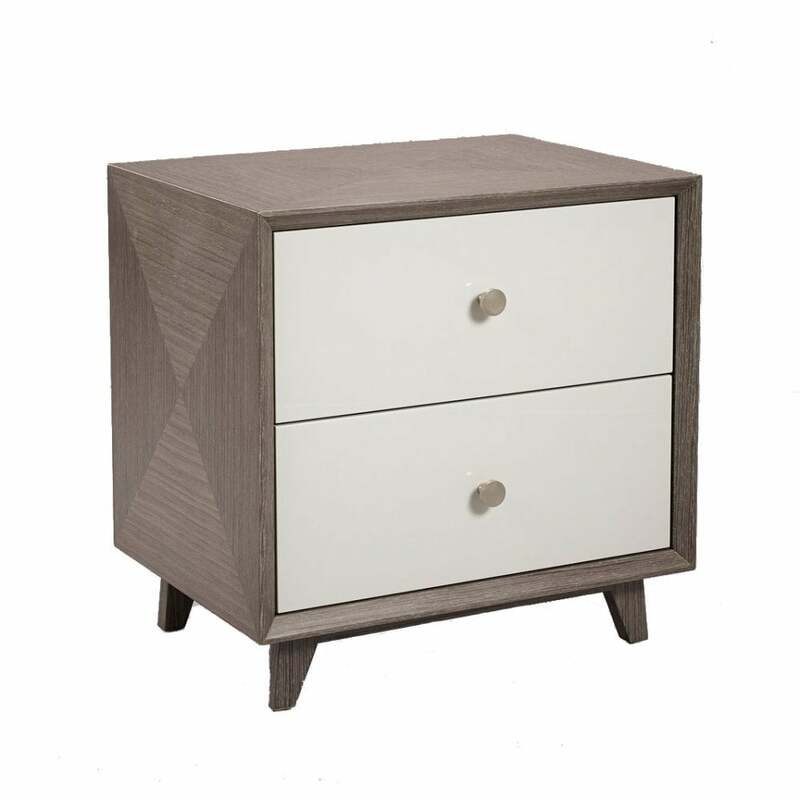 The narrow design of the Oslo offers a practical yet stylish bedside storage solution, particularly in smaller spaces.